Fognigma Adds wolfSSL as an Encryption Library - Dexter Edward LLC. Herndon, VA – Dexter Edward is proud to announce that it has licensed and integrated wolfSSL as an encryption library for its patented Fognigma enterprise software solution. Fognigma gives organizations the power to create their own invisible and secure cloud-based networks, full of encrypted communication and collaboration capabilities. All current Fognigma networks are dual-wrapped in AES-256 encryption using OpenSSL as an encryption library for both layers. But now, Fognigma customers have an even more secure option by using two different encryption libraries (wolfSSL/OpenSSL), running two different ciphers (ChaCha20/AES-256-GCM) and using two different security protocols (TLS1.3/TLS1.2). With wolfSSL added as an encryption library option, Fognigma is now compliant with the National Security Agency’s Commercial Solutions for Classified Program (CSfC). Fognigma is also available with the National Institute of Standards and Technology’s FIPS-certified equivalent of OpenSSL and wolfSSL encryption libraries, which makes it compliant for use with government systems requiring that certification. Together, Fognigma and wolfSSL are ready to make any organization’s network, users, information, missions, and communications secure, encrypted, and invisible. Dexter Edward LLC is the premier integrator of secure, encrypted, and traceless communications and collaboration systems. We provide commercially available products ready for immediate implementation. Our solutions allow organizations to create invisible network spaces for multilateral, inter-agency cooperation without the risk of intrusion by external forces; provide an encrypted means to obfuscate Internet traffic and misattribute the connectivity of users; and safeguard communications, intellectual property, users, and other organizational assets. These solutions are ready to assist agencies within the Department of Defense, Intelligence Community, Law Enforcement, and others achieve mission success. 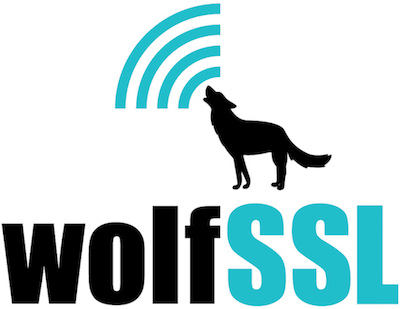 wolfSSL is the first commercial TLS 1.3 implementation for applications, devices, IoT and the cloud. Securing more than 2-billion connections, wolfSSL’s products offer optimal performance, rapid integration, leverage hardware crypto and support for the most current standards. wolfSSL takes pride in being the most comprehensively tested and supported cryptography available, which is why 4 of the world’s top 5 auto vendors, all of the top industrial automation companies and everybody who needs top notch support uses wolfSSL. Products include the wolfSSL embedded SSL library, wolfCrypt embedded crypto engine, wolfCrypt FIPS 140-2 validated (Certificate #2425), wolfMQTT, wolfSSH and wolfSSL JNI wrapper. As strong believers in open source, the majority of wolfSSL’s products are dual licensed under both the GPLv2 as well as standard commercial licensing. All of wolfSSL’s products are 100% made in the USA and have been since the company’s inception in 2004. All products are backed by 24/7 support.